We have a requirement to add country code to 0KEM prerequisite... (please see screenshot below). I've seen that it uses structure PCASUB.. 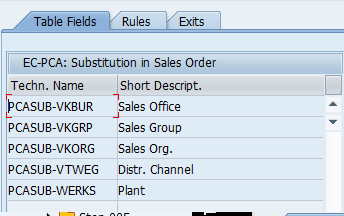 I tried adding an append structure in PCASUB but it still does not show here. Any ideas how to work on this? AFAIK (If I remember correctly there is/was one consulting note on this subject) the field must also be found in one of (VBAK, VBKD or VBAP) and also be found in one of (VBRK or VBRP).